An Alien Force sends out his minions to conquer earth for its minieral riches. First an Alien Flying Saucer pulls a Space Station out of orbit and steals it by taking it away with a tractor beam. The Aliens want to perform experiments on the humans before taking over the world. 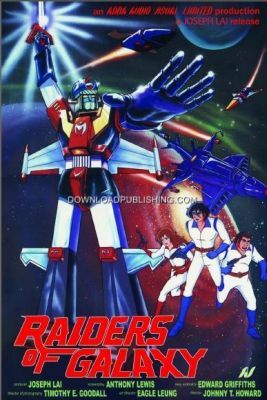 In response to the attack, a Spaceship (which is also a Giant Robot), is sent out to stop the alien force before they reach Earth.